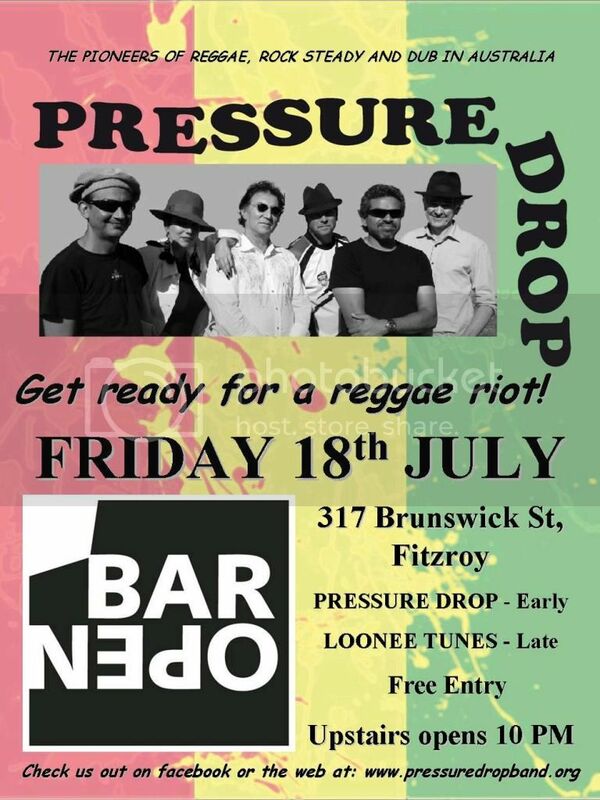 Gonna be a reggae riot with Melbourne based reggae band Pressure Drop and the ska lunacy of Loonee Tunes at Bar Open, 317 Brunswick St., Fitzroy. Upstairs opens at 10 PM. Entry is free.